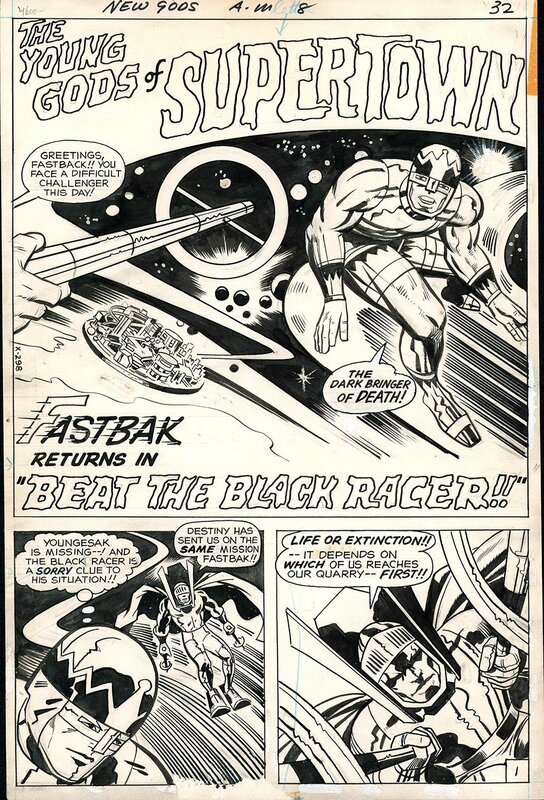 Great Fourth World title page by Kirby (with inks by Vince Colletta) from 1973, featuring Fastback and The Black Racer. Classic mid 70's Kirby! Pen and ink on paper, 10 1/2 x 16 inches. Excellent condition.